That part of Finland has a huge landmass to it's south and southeast, so when the wind blows from there it can bring strong heat without being moderated by the oceans. Equally, it's why it can be one of the coldest places in the arctic during deep winter. What is equally impressive is Greenland's all time record of 25.9c considering it has a massive ice sheet and is surrounded by cold oceans. Driest Summer (up to this period of time) on record in Sweden since records began in the 19th century? A new all-time record high for Japan of 41.1c beating 41c back in August 2013. I see Perisher is a ski resort so they probably regularly get low values there. The heat Keeps on going in Europe. Good piece from the Guardian below. We are not alone with problems in Agriculture . Stockholm started recording monthly average temperatures as early as 1756, and with no end in sight to the ongoing heatwave, Swedish meteorologists can already say this year will go down in history. A video of someone in the middle of the fires in Greece,gives some idea of what people faced. The 100kph winds turning it into an inferno very quickly. July 26 and 27 were record-breaking hot days over here in The Netherlands. Most of the official weather stations broke the record for either or both of highest maximum and minimum temperature. Heatwave ended overnight with some rain and thunder, but still looking at less than 5mm of rain since June 14. Hot and dry weather to return next week and no end to it anytime soon. 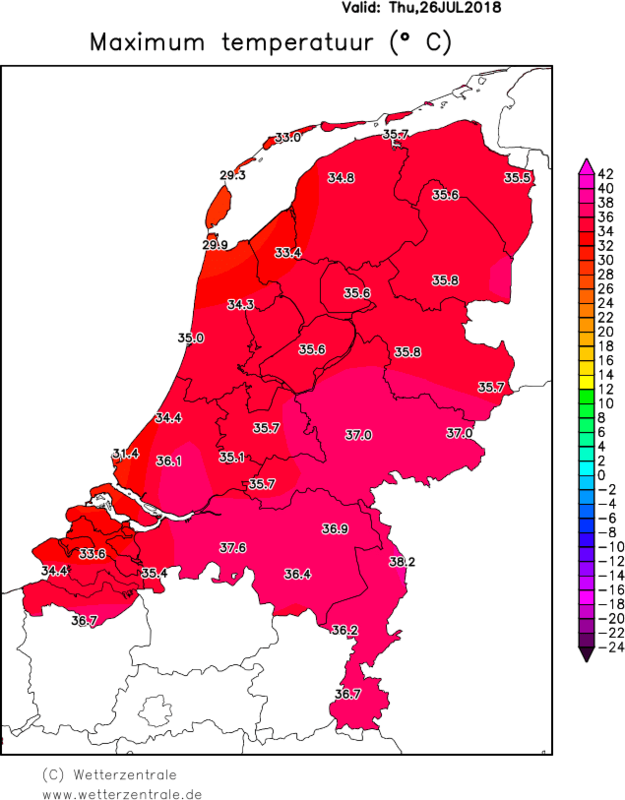 Note: the highest temperature ever recorded in The Netherlands is 38.6 C on August 23 1944 in Warnsveld. It is not listed in above links since it no longer has an official weather station.